Related: Can you drift on a solar road? If the only exposure you’ve had to drifting is Justin Lin’s entry in the Fast and the Furious franchise, you’re missing out. Drifting isn’t just about fast racing around sharp turns. Not only is the loss of traction in the wheels dangerous, there’s also an artistry in its preciseness, especially when stunts are synchronized in a dance-like pattern. So enters BMW’s new promo. 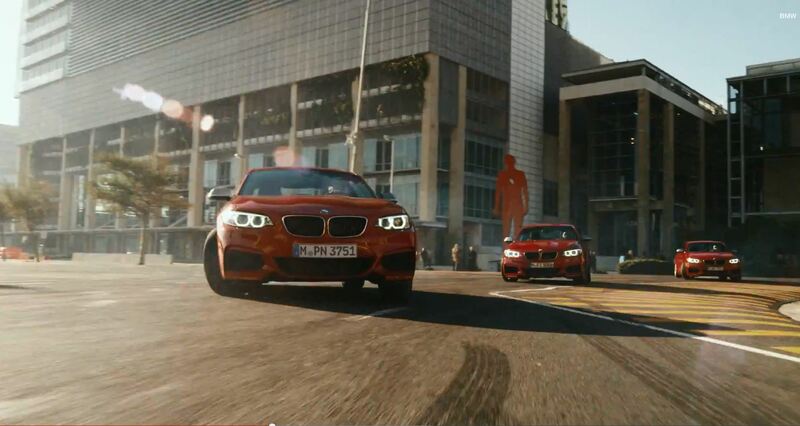 For BMW’s “The Epic Driftmob” advertisement, five M235i’s are let loose on the roundabouts of Cape Town in a grand display of control, maneuverability, and breaks. Undeniably, these 2 Series Coupes likely endured a series of crucial modifications, including a suitable limited slip differential, but final product is still undeniably cool. The video is well-paced, both intense in its movement and subtle in its reactions and sly winks. Enough time and a variety of angles (from close-ups to aerial shots) are used to capture the intensity of the driving juxtaposed to the reactions of onlookers. The smoke rising from the road and the chatter of spectators capture the excitement that BMW wants to instill in potential buyers. Admittedly, there’s a bit too much quick-editing to visually capture the actual stunts, but the sense of thrill remains (though the continuous squeal of the tires against the pavement might compel you to mute your video).